Today two of my guest bloggers Drs. Stella Fulman and Zhanneta Shapiro explain the importance of pediatric hearing tests beyond the newborn screenings. The importance of hearing testing isn’t widely understood by many parents. Parents may schedule appointments with an opthamologist or a dentist for their children at regular intervals – but never think to similarly schedule a hearing test with an audiologist. We think perhaps that if a child responds to our voice in a room of our homes that their hearing must be fine. Jokingly we think that if they don’t respond to the calls for dinner that they should have their hearing checked – but rarely follow up on this. Childhood hearing loss has a devastating impact on development of speech and language skills. Hearing loss can adversely affect the developing auditory nervous system and can have harmful effects on social, emotional, cognitive, and academic development, and subsequently, on the individual’s vocational and economic potential. The need for early identification of hearing loss along with appropriate follow-up treatment and/or habilitation is of utmost importance. 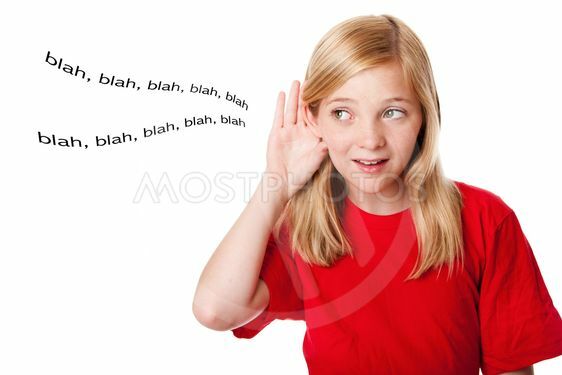 Hearing is often generalized as a black or white ability where a child is either deaf or not. While only about 1 in 1000 children are born profoundly deaf, and another 5 in 1000 with a significant hearing loss the issue is much more widespread than this. Most children who are born with a hearing loss can be diagnosed through a hearing screening. But in some cases, the hearing loss is caused by things like infections, trauma, and damaging noise levels, and the problem doesn’t emerge until later in childhood. So it’s important to have kids’ hearing evaluated regularly as they grow. If a newborn doesn’t pass the initial hearing screening, it’s important to get a retest within 3 months so treatment can begin right away. Treatment is likely to be more effective the earlier any problems are detected, and early treatment should limit the impact of problems on a child’s development. Kids who seem to have normal hearing should continue to have their hearing screened at regular doctors’ appointments. Hearing tests are usually done at ages 4, 5, 6, 8, 10, 12, 15, and 18, and any other time if there’s a concern.  Most newborn infants startle or “jump” to sudden loud noises.  By 3 months, a baby usually recognizes a parent’s voice.  By 6 months, an infant can usually turn his or her eyes or head toward a sound. Research has shown that the earlier hearing loss is identified the greater the potential for the development of speech and language. Given the importance of hearing on academic performance, social growth, and career prospects it is imperative that we all take a more active role in identifying hearing loss in children. Dr, Stella Fulman AU.D., CCC-A and Dr. Zhanneta Shapiro AU.D., CCC-A are co-founders of Audiology Island, an audiology clinic in Staten Island, NY. They offer comprehensive, collaborative and individualized hearing healthcare to children from infancy through 21 years of age. You can also follow their practice on Facebook.